When most parents start down the special needs adoption path, they are thinking of a straightforward medical condition. However, it has become very common for adoptive parents to end up consulting with a geneticist regarding their child once the child is home. This could come from a referral from one of their medical providers, usually because the child has more than one medical diagnosis such as a cleft palate with heart murmur. At other times, the genetics consultation is the result of months or years of the parent advocating for their child through multiple doctors because they have the feeling that there is something more to their child’s condition than their current diagnosis. Even known diagnoses, such as dwarfism (skeletal dysplasia) or muscular dystrophy, can lead to a genetics consultation because the diagnosis has multiple types. Genetic testing to determine exactly which type your child has can be helpful for knowing what sort of health concerns to expect in the future. When you have an appointment with a geneticist, you will be asked an extensive amount of questions about your child’s family history. 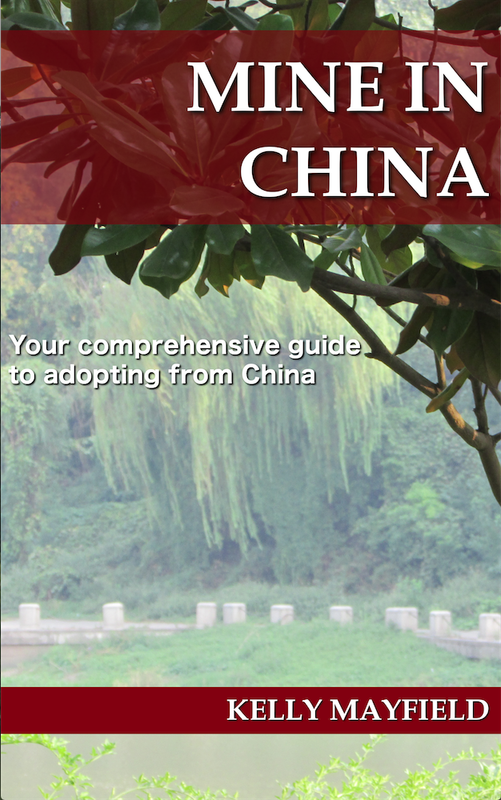 This part of the appointment is typically very short if you have adopted from China. 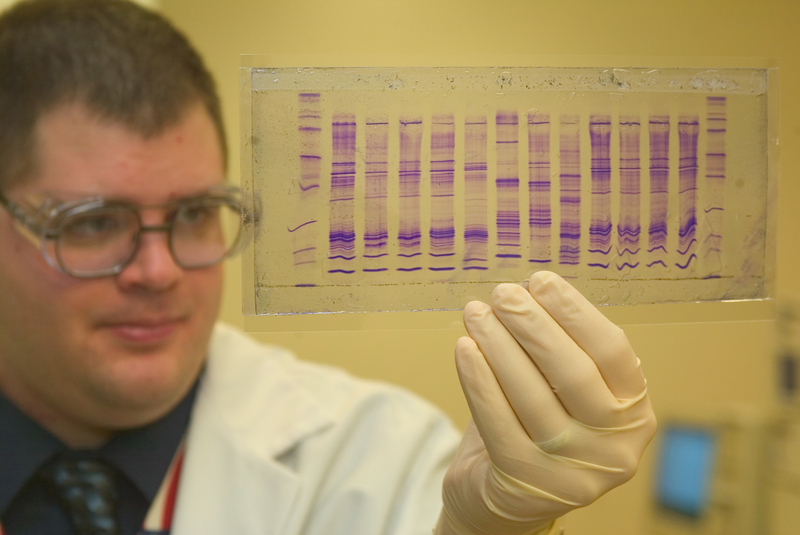 The geneticist will look over your child’s medical file and give your child an exam. The geneticist will be familiar with physical markers for syndromes or conditions so the physical exam will include things like looking for pitting behind the ears, measuring the spacing between their eyes, and examining the length of fingers and toes. This webpage from a hospital gives a general overview of what to expect. Being eligible for additional services for your child because of having a diagnosis. Knowing to run additional tests or be on the look out for other conditions which are associated with the genetic anomaly which your child was diagnosed with. Understanding exactly which type of a known medical condition your child has to better provide care or know how the condition will progress. The feeling of peace from knowing that your child has a genetic anomaly which explains odd symptoms which did not seem to be related to known medical conditions. Knowing the odds of the condition being passed on to your child’s children so that can be taken under consideration in the future when your child begins a family. How would having a documented diagnosis help my child? Are there any ways having a diagnosis would not be beneficial? If the reason for suggesting testing is to look for additional organs or systems which might be affected (i.e., additional testing for kidney involvement), could the other organs or systems be tested without a genetic testing result? Take some time to consider your feelings about the results of the testing. What are your feelings when you imagine being told that your child does have a chromosomal anomaly? If the testing would not change any treatment or therapies which your child is receiving, would it be better to wait until your child is old enough to be a part of the decision to test? Check with your insurance to see exactly what will and will not be covered. If comprehensive testing is not covered, is there a cheaper test which would be more affordable out of pocket? Be aware that sometimes the testing is covered but not the genetic counseling that comes at the appointment where you are given the result. There are two main types of testing which the geneticist might recommend: the FISH and CMA. FISH is fluorescence in situ hybridization, a test which probes a specific region of a chromosome. This test would be used if there is a strong indicator of a particular medical condition. It does not detect all variations. To give an example, if your child has a cleft palate and heart condition the FISH test might be given to see if there is a microdeletion at 22q11.2, known as DiGeorge Syndrome. If your child actually has a microduplication, the FISH test would not find it, so you would only have ruled out DeGeorge but still not have an accurate diagnosis. However, because insurance coverage for genetic testing is hit or miss, many people will choose the FISH test over CMA because it is much less expensive. CMA is chromosomal microarray testing, and it is comprehensive chromosomal testing which detects most microduplications and microdeletions. While FISH testing will cost a couple hundred dollars, microarray testing will run well over $1000, so it is vital that you check your insurance coverage before choosing which test, if any, to run. One parent recommended Courtagen for genetic testing and Enlis Genomics for interpretation as an affordable alternative to testing through your local hospital. 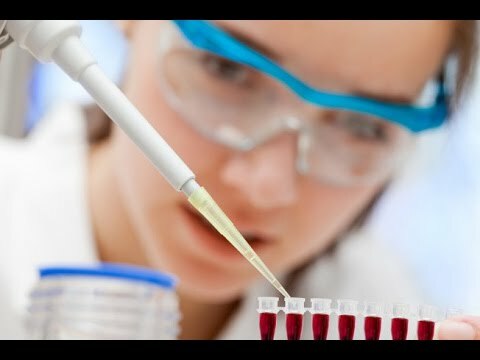 So are there any negative aspects to genetic testing which you should consider before moving forward? While the parents I asked overwhelming found their experience to be positive, I did speak with one mother, who wished to remain anonymous, who regretted the decision to get genetic testing for their son. I feel that her story contained three general negative aspects which could happen to anyone, so I will break it down into those elements. Pressure Tactics– The mother I spoke with said that she and her husband were skeptical that genetic testing would gain any benefit for their son. They felt that his needs were being met through his current therapies and that an additional label would change anything. The geneticist pushed for testing, saying that if a microdeletion was found, they would do additional heart and kidney testing because defects were associated with the most likely microdeletion. When asked if they could simply do the additional noninvasive tests now, the geneticist said that no referrals would be made without genetic testing results. However, once the testing came back indicating a microduplication, the geneticist said that since the boy was generally healthy and had no indications that other organs were involved there was no need for additional testing. As this was the sole reason testing was agreed to, the mother was understandable angry at how the geneticist had manipulated them. Labeling– While most parents find that having a confirmed diagnosis opens the door to more therapies for their child, sometimes the opposite can be true. The anonymous mother told me that when they had a referral for a possible minor issue for her son, the specialist refused to order a simple test, saying that her son’s microdeletion explained everything, therefore there was no need to pursue the issue further. Many parents will face similar battles if they advocate for therapies for their child which professionals characterize as pointless because they think the child will not progress any further due to the limitations of their diagnosis. The positive side to this is that for parents who have been exhausted by constant therapy sessions, a diagnosis can give them permission to feel that it is okay to stop or take a break from therapies which did not seem to help their child progress. Another important piece of information to keep in mind is that this testing is relatively new. You might be informed that your child’s microdeletion or microduplication is “rare” but no one really knows how often it is found within the general population. This article from the Guardian looks at how common genetic mutations are. Testing is recommended for children who have markers for chromosomal anomalies but when testing turns up a result, the biological parents will be tested as well. Almost always one of the biological parents will have the same chromosomal anomaly but with few or no symptoms. The Unique foundation is a good source of information for you to learn exactly what is known and what is unknown about your child’s diagnosis. Remember that your child is not limited because of a label. It only identifies some challenges your child might face. The Eugenics Talk– After being given some useful information explaining her son’s genetic test results, the anonymous mom reports that she was given what basically amounted to an eugenics decree. The geneticist told her that her son “must understand there can be no unplanned pregnancy” and that “when he and his partner decide to start a family they MUST come and see us in genetics first. They will have to use IVF and implant only pre-screened embryos so that there is no chance this will be passed on.” The mother wanted to make it clear that this was not a recommendation by the geneticist. The geneticist had used absolute language making it clear that this was not optional. Characterizing her son’s diagnosis as relatively mild, the mother said she was horrified and saddened when she realized that the geneticist felt the worst thing that could happen is that her son might have a child like himself. I would like to point out that this mother’s geneticist was not acting in accord with the National Society of Genetic Counselors Code of Ethics. A geneticist is supposed to merely give you information, not coerce parents into a decision or make decisions for them. It would be normal for a genetic counselor to inform you that your child can choose to use assisted fertility techniques to avoid having a child with the same genetic anomaly, but it should only be presented as an option, not a requirement. While the parents I spoke to overwhelmingly found their genetics consultation to be a positive experience, it probably isn’t unusual to run into at least one of the negative aspects I mentioned above. Being aware of that possibility before your appointment can help you be prepared so that you can be the best advocate for your child if you encounter one of them. In the end, the decision to have a genetics consultation and to possibly have genetic testing done is a very personal one. I hope that this post has given you the information needed to know what to expect as well as to make these serious decisions with confidence that you are making the right choice for your child and your family. This entry was posted in Uncategorized and tagged Adoption Resources on April 12, 2016 by minefam.